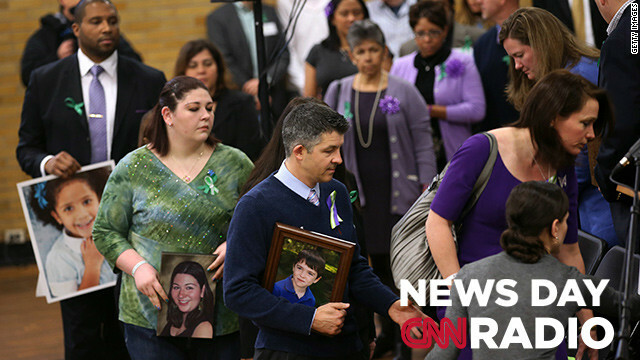 Parents of Sandy Hook Elementary victims gather for a press conference on the one month anniversary of the Newtown elementary school massacre on January 14, 2013 in Newtown, Connecticut. "These guns are not designed for sport or hunting. They are designed to kill large numbers of people quickly – that’s the only purpose they have. They belong on the battlefields…not on the streets of our cities and suburbs."